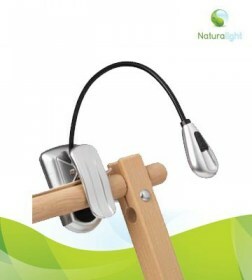 Ultra light clip-on lamp for all your hobbies and reading. This lightweight LED lamp attaches to frames, hoops and books. Perfect for traveling, this little battery lamp will give you the best light wherever you are. Read your favourite book in comfort and stitch on the go with Naturalight™. All our packaging is now completely, 100% lovely cardboard – so your customer can recycle it and protect the planet. All the Naturalight™ bulbs, tubes and LEDs use 80% less energy than incandescent bulbs. We do out bit to help the planet! All the Naturlalight tubes/bulbs are energy saving. 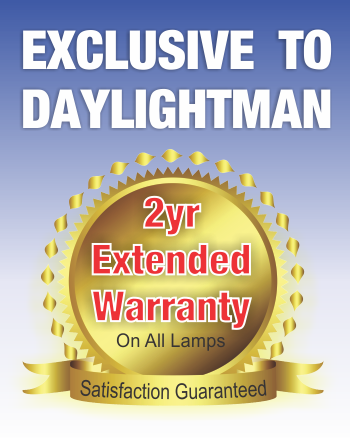 They use less energy and at the same time, last up to 10 times longer than conventional bulbs.